Grand Master Kong, Kongfuzi in transliterated Chinese, is known to Europeans by the Latin name Confucius (550-480 BCE), much as someone possibly named Joshua is known by the Latin name Jesus. 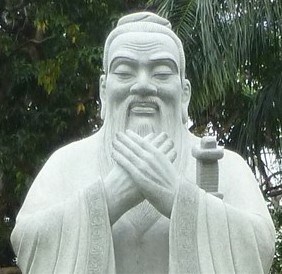 The name Confucius was transliterated into Latin by Jesuit Catholic missionaries who sailed to China from Italy during the Italian Renaissance in the 1500s, who were surprised to find that the central philosopher of China said things very similar to things Jesus said, such as: Treat people the way you want to be treated. It would be nice if times of peace and prosperity are good for growing great thinkers and systems of thought, with people treating others and the neighboring states of others the way they and their states want to be treated, but times of civil war and disintegration of empires into warring local kingdoms seems better, especially in hindsight. This was true in ancient India, Greece, and true in the golden age of Chinese thought as well, the Warring States Period, also known as the Period of the Hundred Schools, a period of many philosophers, philosophies and schools of thought. Human beings rethink problems when they are faced with them, and they are only able to teach something new when something old is failing, often to try to get to the old ways. 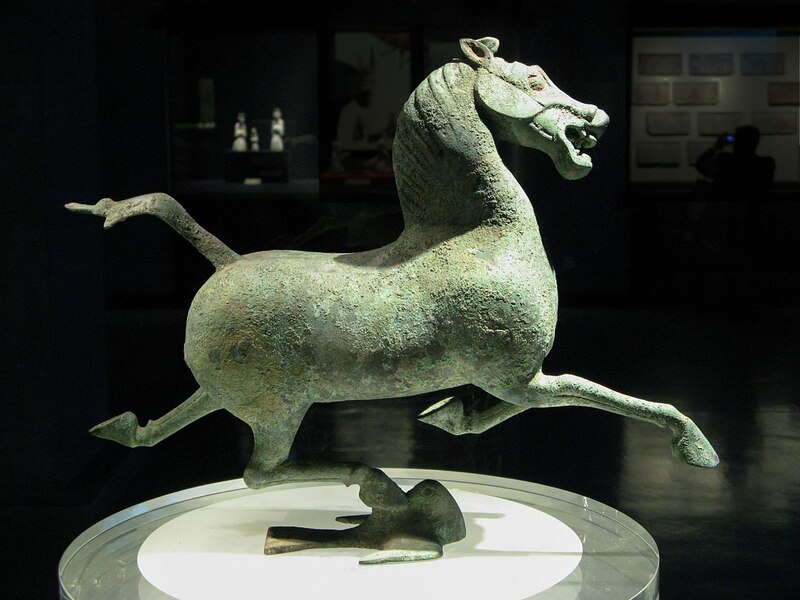 In ancient Chinese history, the prosperous Zhou Dynasty (1073-771 BCE) was followed by the declining Spring and Autumn Period (771-476) which was followed by the Warring States Period (475-221) which was followed by the long, prosperous Han Dynasty (206 BCE – 220 CE). 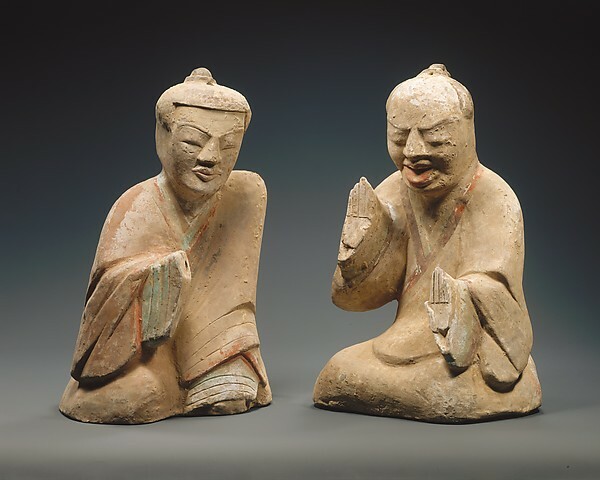 Laozi (615-533) and Confucius (551-479) the two greatest Chinese philosophers, founders of Daoism and Confucianism, lived during the declining period, their immediate followers (Mencius, Xunzi, Liezi & Zhuangzi) lived during the warring period, and finally the two schools were officially adopted and supported by the Han Empire. 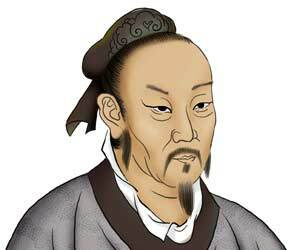 About a hundred years before the birth of Confucius, the political philosopher Guan Zhong led the state of Qi and neighboring states such as Lu to several decades of relative stability as prime minister in 685 BCE. Confucius was born in Lu, where Guan Zhong was praised as a wise philosopher-king whose compassionate ways led to peace and harmony. 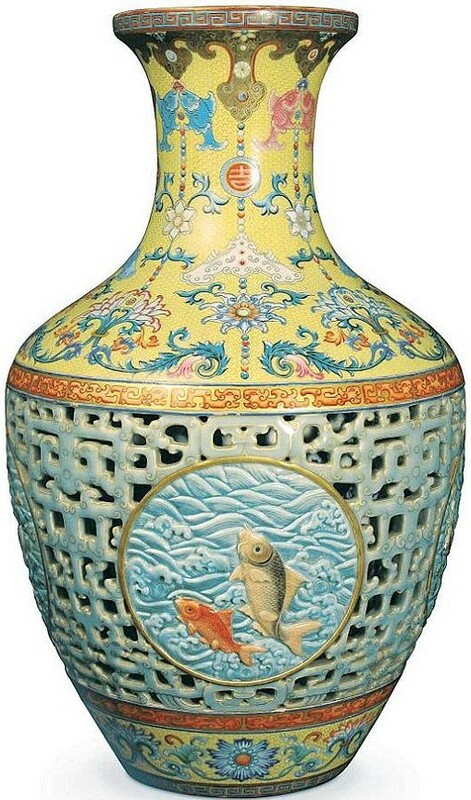 Confucius’ family were nobles who had education, but lower level aristocrats who had fallen on hard times, made worse when Confucius’ father, a soldier, died in combat when Confucius was very young. 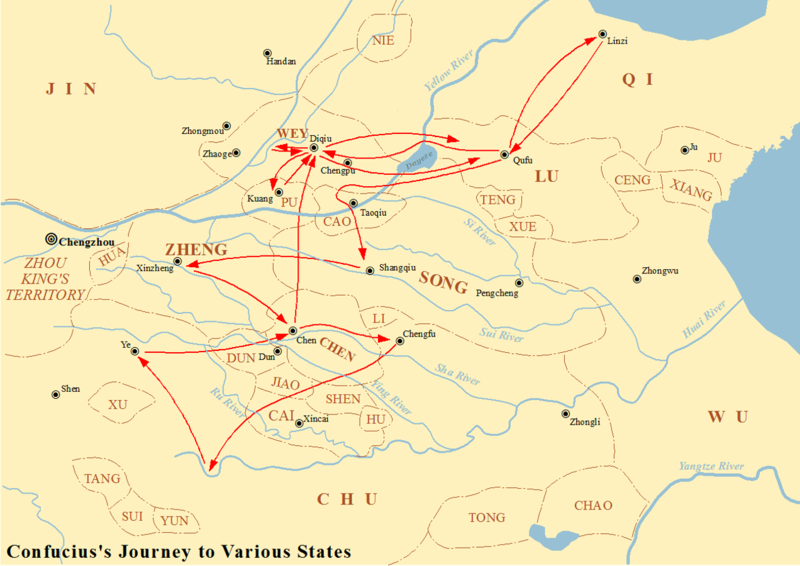 By the age of fifteen Confucius had decided to study the classics, which were better kept and studied in Lu than in other states. Legend has it that in his 20s Confucius opened a school for children and would charge what he thought the parents could afford. 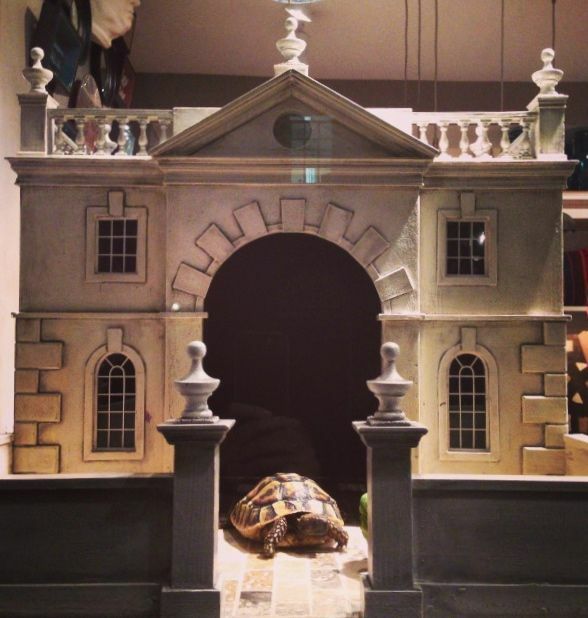 When the rich complained, he replied they were welcome to take their children to any teacher they liked and he would keep his prices as they were. 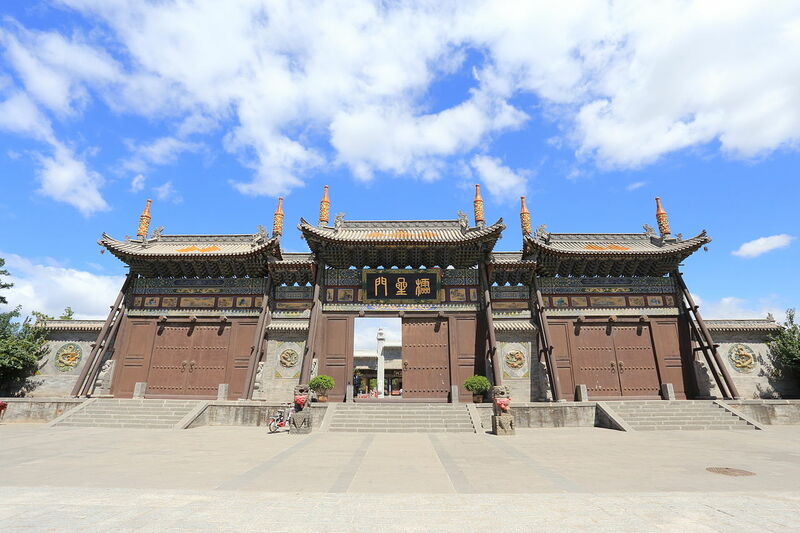 By 30, he was studying ancient government in the court of Lu with other scholars and had a position as overseer of the public fields and granary. Confucius said that if we only had a single word to guide us in life, it should be reciprocity, (15.24) balancing our interests with the interests of others, and that compassion (Ren) is the one thread running throughout his teachings (4.15). Compassion is both seeing the perspectives of others and feeling for them, the ability and capacity to engage in reciprocity. Compassion is sometimes identified with and sometimes distinguished from wisdom. Socrates thought they were one and the same, and if we compare the unifying wisdom of Heraclitus to the compassion of Confucius we can see much similarity, but we can think of compassion without the guide of wisdom, as well as wisdom without the care of compassion. 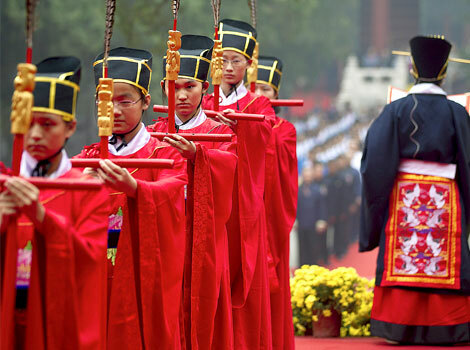 Confucius is equally famous for teaching cultivation (Li), which includes rituals, tradition, education and civilization, the ways that we learn to make distinctions. Compassion is the common unity that draws us and all things together, showing us the similarities beyond the differences, and tradition, education and civilization teach us to separate the bad from the good, showing us the differences beyond the similarities. 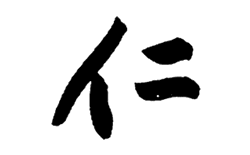 Confucius also spoke of determination (Yi), the courage and righteousness of duty, and of discretion (Chih), a good sense of judgement for right and wrong, as well as many other virtuous and terrible qualities we have. 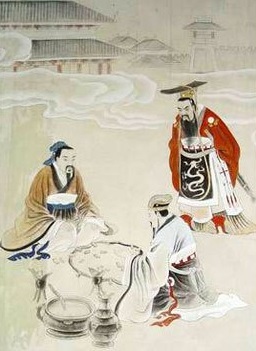 Mencius (Menzi), took the four virtues of compassion, cultivation, determination and discretion, and identified them with the four chambers of the heart (Xin, “hsin”), equivalent to the mind in much of ancient Chinese thought, as well as the energy (Qi, “chi”) that runs through our veins, though this four-fold systematization with qi is Mencius’, not present in Confucius’ original Analects. Confucius may not have taught Mencius’ system, which became the orthodox position of the Song Dynasty Neo-Confucians almost two thousand years after Confucius taught, but he certainly saw and spoke of the balance of common and particular virtues. Inclusive compassion is the lowest and largest part of the heart, and distinguishing cultivation, determination and discretion sprout outward, from one into many, into the branchings of the body and our social lives. We have one common virtue, compassion, which shows us unity, and a branching family of many virtues, including cultivation, determination and discretion, which show us differences. We must have love to see the larger picture, as well as the culture, courage and judgement to choose this over that, such as this perspective over that perspective. 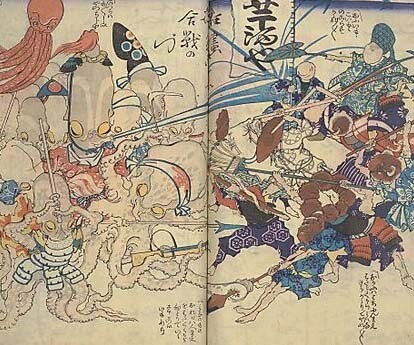 Just as we want others to improve themselves rather than point out our flaws, we should be strict with ourselves but easygoing with others (6.2), as failing to weigh our interests with others leads to resentment and a lack of self-development (4.12) Paradoxically, if we are strict with ourselves and become truly noble, loving and disciplined we are easygoing and free, but if we are lax with ourselves and fail to grow we are tense and fretful. (7.37) We should not only think of others other than ourselves, but help others to achieve what we want to achieve ourselves (6.30), remembering to recognize our strengths in our allies and our opponents. (1.16) Only the greatest would improve their greatest opponents as the only way to become even greater. 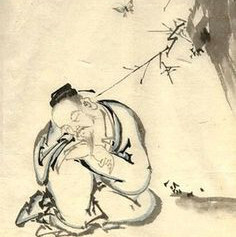 We can also humorously learn from the terrible, such as Confucius’ student Zigong, who happily strolled up to Confucius and reported that he no longer did to others what he did not want done to himself, to which Confucius replied, “You’re not that far yet.” (5.12) When Confucius heard that Zigong was criticizing others, he said, “Zigong must have already reached perfection, which gives him freedoms I can’t afford.” (14.29) Zigong praises himself and criticizes others, and Confucius uses his bad example to show that pride can blind us to our most basic faults, as Zigong is blind to how he would not want others to stroll up to him and praise themselves, nor would he want them to criticize him behind his back. 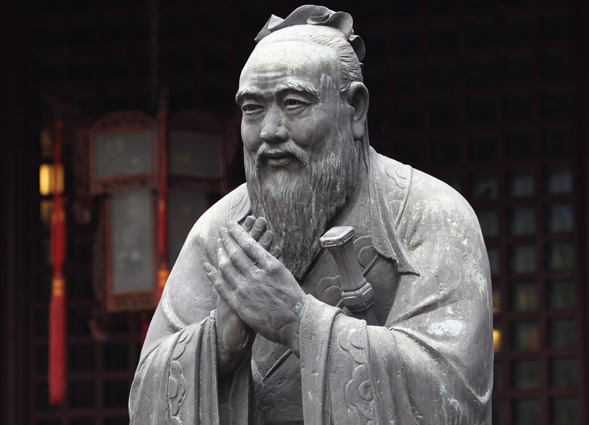 Confucius was a strong supporter of tradition, law and ritual (li), the cornerstone of education and civilization that draws individuals together to balance their common and differing interests. Against what were likely proto-Daoist sages who were retreating from society into nature, much like the proto-Jains of India, Confucius said it is wise and beautiful to thrive with humanity rather than live with the birds and beasts without people. (4.1, 18.16) Confucius did believe in the five relationships: Child obeys parent, younger child respects older child, wife obeys husband, younger defers to elder, and subject is loyal to ruler. 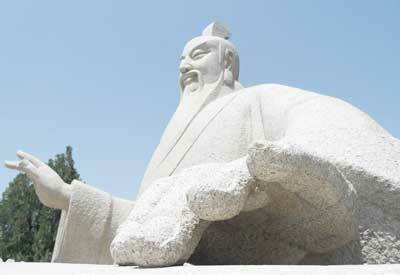 These were popular and unpopular attitudes in Confucius’ time, and they remain so today in political debates. We might be tempted to think that the right outer form without the right intent is still half right, but Confucius strongly disagreed. 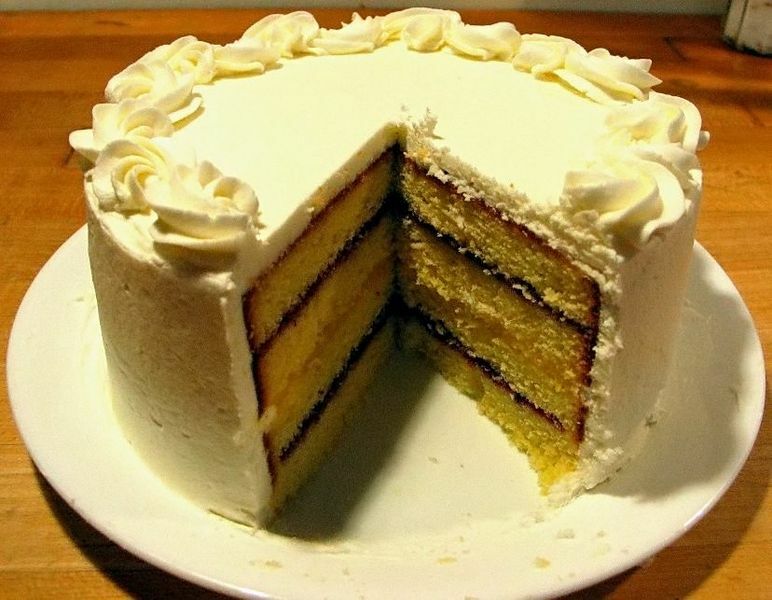 Consider that if we ask a friend for something each and every time we give them anything, a complete and fair exchange exchange each time, our friend would resent us and hide behind the couch each time they see us approaching their place with a cake, worried we want to borrow their car. We can screw up giving gifts to a friend, creating distrust with a practice that should be used to build trust instead, in a way that we can’t screw up psychotically stabbing strangers. If we destroy the ways we build trust with others, we have nothing left to build our lives upon, particularly after we come down from psychosis. 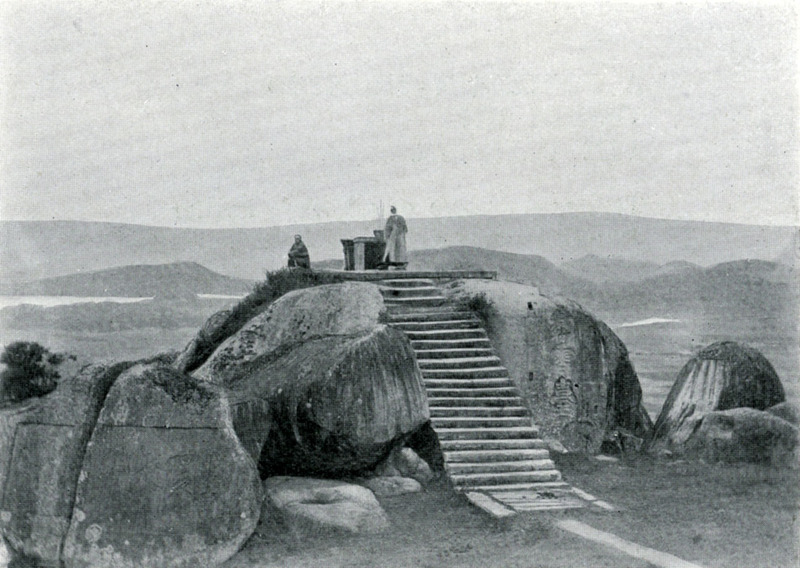 Just as the ancient Egyptians and Indians warned about substituting traditional rituals for being a good person, Confucius was a master of performing court rituals and rites, but he suggested that the rites be simplified and that tyrants who hold court and perform rituals to consolidate their power are not building trust but sewing distrust between the people and the rituals such that it would be better to not perform the rituals at all. Similarly, civilization is where humanity can grow the most under the direction of wise and compassionate rulers and teachers, but civilization that seeks luxury rather than cultivation is worse than the wilderness. 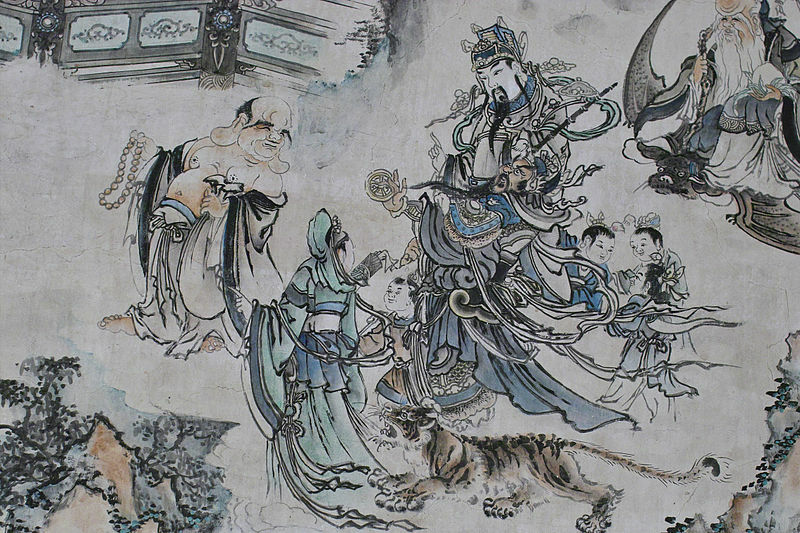 In one legendary story, Confucius and his followers found a woman weeping over the body of her son who had been killed by a tiger. 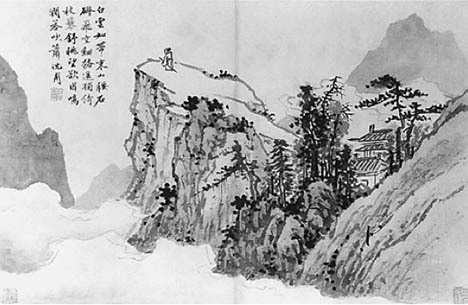 Confucius asked her why she chose to live out in the forest, she replied that the local ruler was a corrupt tyrant who uses the peasants for his own personal gain. 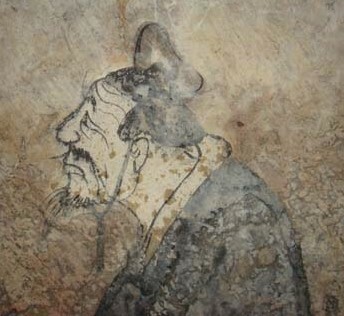 Confucius turned to his students and told them to take note that some would rather live with tigers than under tyrants. A duke asked if there is a single law that could ruin a state, and Confucius said, “That the prince should not suffer contradiction. 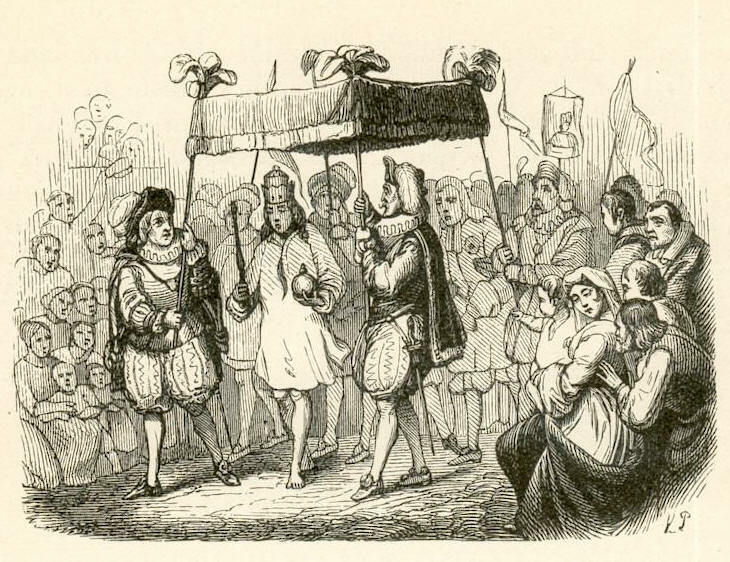 When in error, the prince should be told.” (13.15) The prince should be told the truth, even if it offends him. (14.22) When told of a rich lord who cruelly used the people to benefit himself, Confucius said, openly embracing armed rebellion against the authorities, “Attack him. You have my permission.” (11.17) While authority can maintain stability at best, Confucius said that we cannot take away anyone’s free will, even of those who are lowest in society. In East Asia, many voices for democracy and social welfare associate their ideas and goals with Confucius and sometimes speak of Confucian revival, even though he has also been vilified by capitalists and communists as a supporter of feudalism. 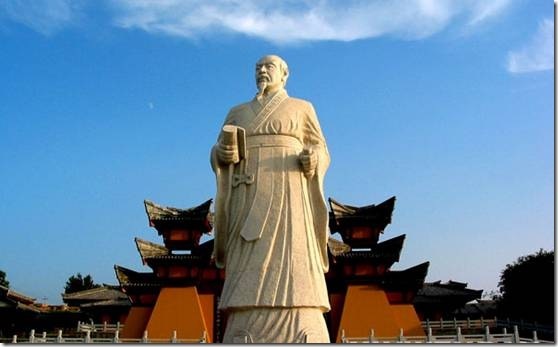 Confucius is also a strong supporter of education, one of the foremost in human history, credited with founding the ancient Chinese education and civil service system. 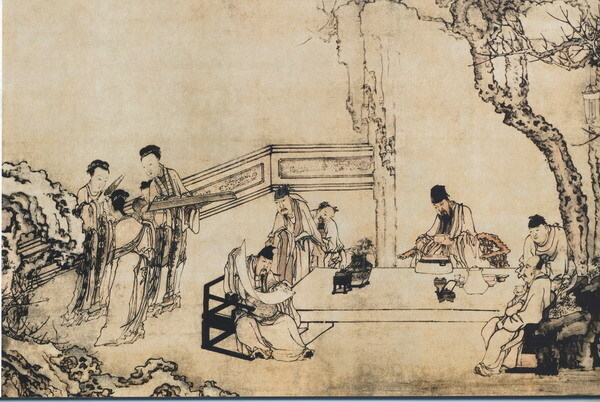 Confucius taught six classic texts as the foundation for education: the Book of Changes, the Book of Music, the Book of History, the Book of Odes, the Book of Rites, and the Spring and Summer Record. There has been much debate over how much Confucius was the original author of these or editor and redactor of earlier sources. In a sense, they are ancient Chinese course readers. These and the Analects of Confucius were used by officials to test applicants for positions in the government, rule by meritocracy as well as aristocracy, much as Plato suggests in the Republic. 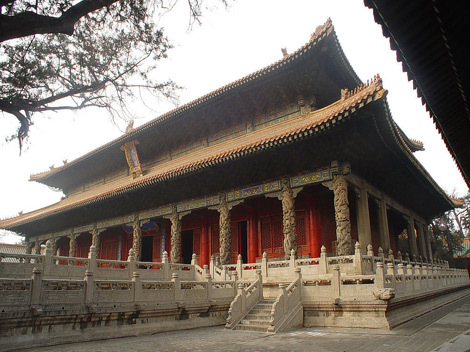 Confucius and others believed that the legendary ancient sage kings Yao and Shun ruled not by birthright but rather rose through the ranks through noble acts.